Front Panel XLR Input Output Jacks. Detachable Input Output Terminal Blocks. 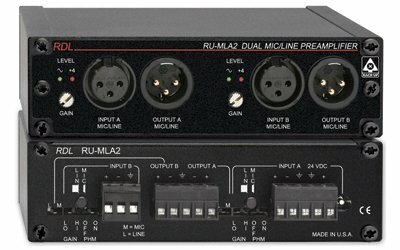 Switch-selectable Mic or Line Inputs. Switch-selectable Mic Gain and Phantom.